"Serve the sick, the poor, the invalid and the needy with money, food, clothes and education according to your capacity and with humility. God comes to you in the garb of the needy and the troubled; attend to Him in them." 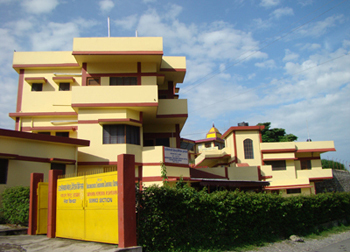 Since 2005 the ashram has been running a free hospital within the ashram premises named after the great sage Udasinacharya Shrichandraji. 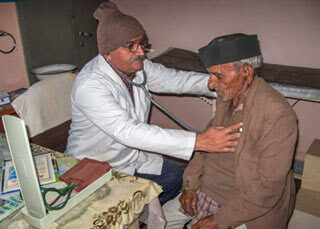 The hospital provides the patients of over 200 adopted villages with high quality medical care, dental treatment, eye care and medicines free of charge, as well as free traditional ayurvedic treatment. 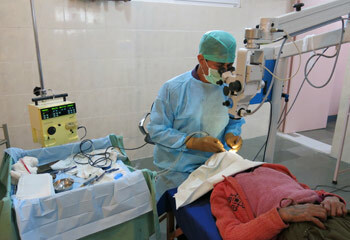 The hospital has a general medical section, a dental section and an eye section. The eye department has a well-equipped operating theatre where free cataract surgeries are performed by qualified and competent eye surgeons. "If you serve the needy and suffering people out of compassion to alleviate their suffering, it purifies your heart. If you serve someone in the name of God, the service is transformed into devotion to God. Service performed in the name of God is worship of God. "